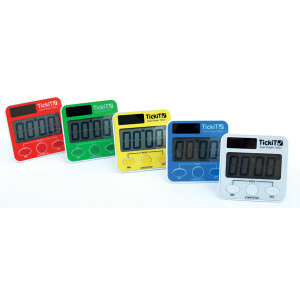 Set of 30 bright and colourful timers with a large clear display and a built-in stand. 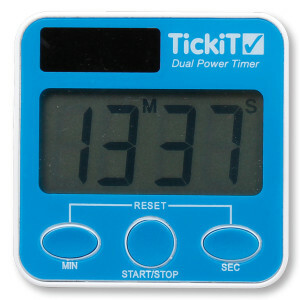 These timers are easy to use to time up or down to 99 minutes and 59 seconds. 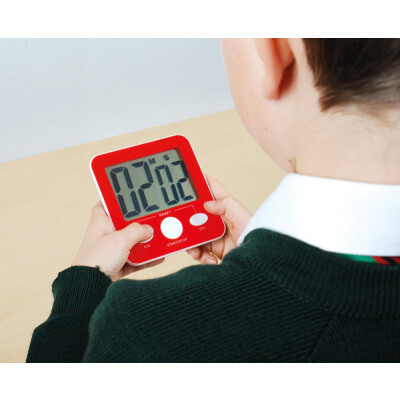 Timers measure 70mm x 70mm and are packed in a shallow Gratnells storage box with lid.